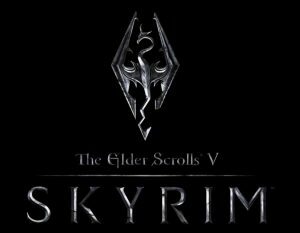 Bethesda Softworks’ most recent project to date is none other than Skyrim, the fifth installment of their on-running “Elderscrolls” series. Just like in Elderscrolls 4 (Oblivion) and 3 (Morrowind), you start your journey in prison with no background story whatsoever and are thrown into a foreign-looking world, complete with an epic quest where you discover you are more or less the Messiah. well let’s just not bring up Morrowind. Skyrim’s introduction of weapon combos, spell weaving and character maneuvering really raised the bar of “skill cap” a player can achieve while playing the game. Oh, also the different kinds of encounters and variety of baddies there are to fight helped a lot. 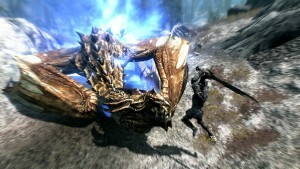 Knowing to never stand still while fighting a Giant and how to lead an arrow or a spell at a fast traveling Dragon is something you definitely learn after observing the consequences of being hit just once.Unlike most RPGs, Skyrim is what is considered a “Sandbox” RPG, which means you can do anything at any time, and are not restricted by a timeline. Skyrim has literally hundreds of quests and storylines to follow, and even a few guilds to join to boot! Skyrim’s plethora of quests allows for a unique (yet equally epic) experience for each play through, giving itself an incredibly high replay value. This one will be played for years to come (or until Bethesda come out with Elderscrolls 6). Also, with Bethesda’s recent release of the TES Construction Kit, the amount of Mods (modifications) people will make for the game increase the game’s replay value almost infinitely. Sadly for you console players, Mods are available only for the PC, but they include changes, improvements and additions to the game in every category. Armor mods, character model mods, Story mods, and even mods to change how the game plays. Overall I think Skyrim is nothing short ofamazing, and the hours of time I have put into the game are definitely up in the hundreds, and I have still not done everything in it.